As the seasons change from Fall to Winter the landscape transforms. The brilliant colors of one season give way to a bare, stark landscape that is beautiful in its simplicity. Over the years, as my vision has matured, I have moved toward a more elegant and refined vision of the natural world. I find myself composing images of subdued color and light. 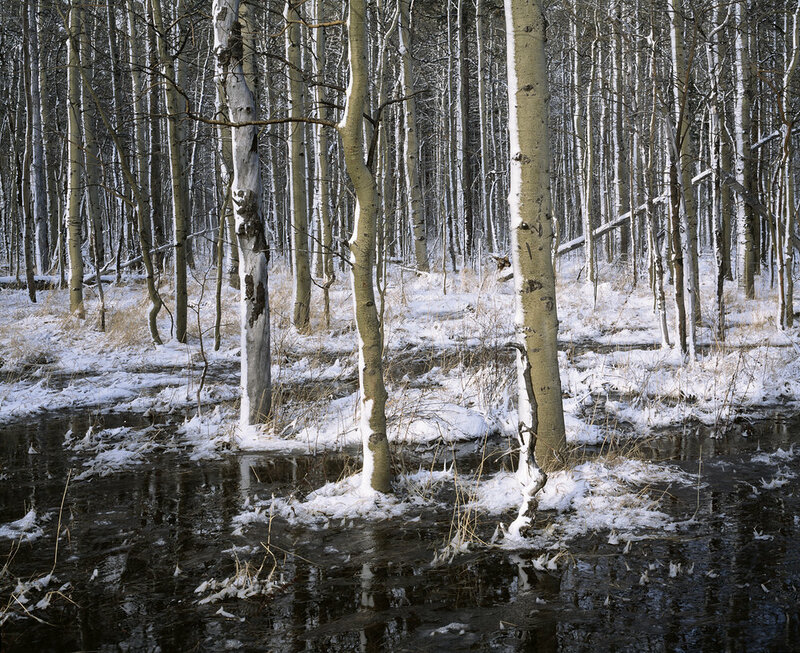 My newest release, Aspens, Snow and Reflections, represents this evolution in my vision. The landscape, on its journey toward Winter, was presented in these muted tones. I used 4x5 inch color transparency film to capture the soft tones of white, yellow and grey presented here.